The NASA spacecraft Dawn has spent more than seven years travelling across the Solar System to intercept the asteroid Vesta and the dwarf planet Ceres. 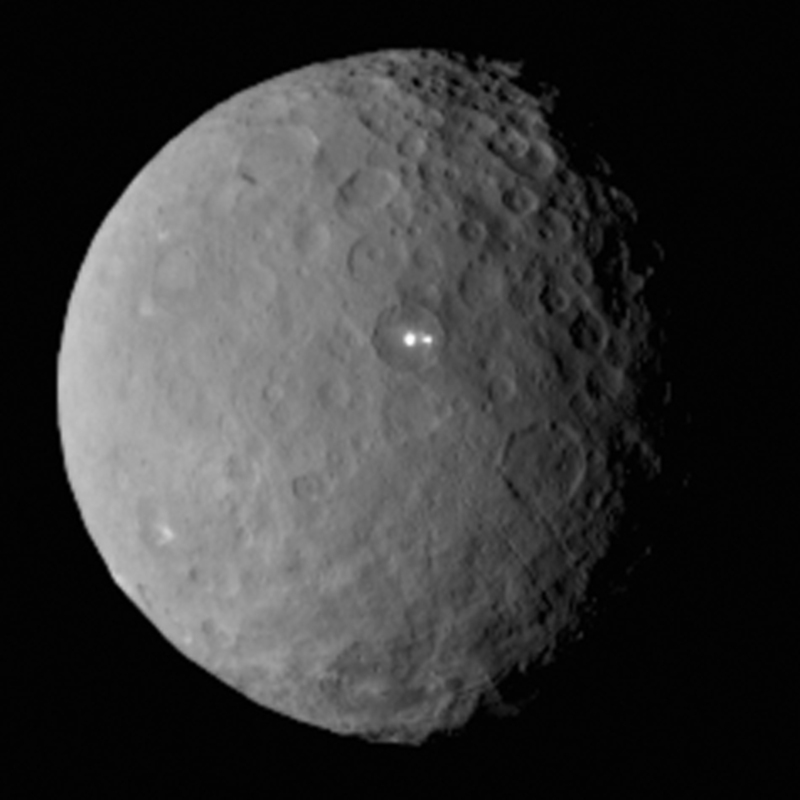 Now in orbit around Ceres, the probe has returned the first images and data from these distant objects. But inside Dawn itself is another first – the spacecraft is the first exploratory space mission to use an electrically-powered ion engine rather than conventional rockets. The mysterious bright spot of Ceres seen as Dawn approaches. 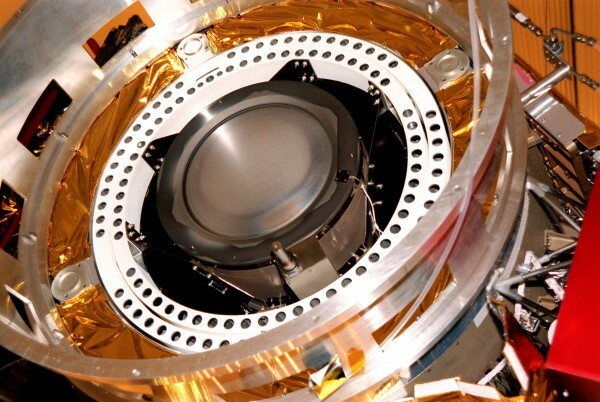 The ion engine will propel the next generation of spacecraft. Electric power is used to create charged particles of the fuel, usually the gas xenon, and accelerate them to extremely high velocities. The exhaust velocity of conventional rockets is limited by the chemical energy stored in the fuel’s molecular bonds, which limits the thrust to about 5km/s. 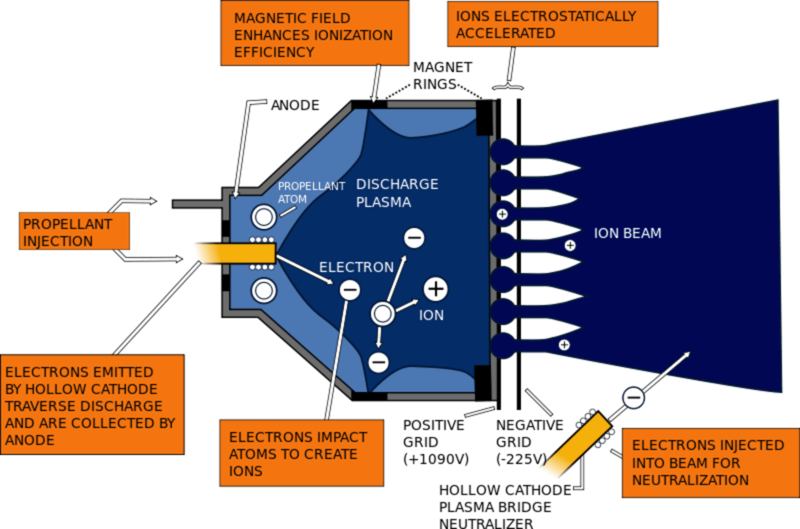 Ion engines are in principle limited only by the electrical power available on the spacecraft, but typically the exhaust speed of the charged particles range from 15km/s to 35km/s. What this means in practice is that electrically powered thrusters are much more fuel efficient than chemical ones, so an enormous amount of mass can be saved through the need for less fuel onboard. With the cost to launch a single kilogramme of mass into Earth orbit of around US$20,000, this can make spacecraft significantly cheaper. This can be of great benefit to commercial manufacturers of geostationary satellites, where electric propulsion can allow them to manoeuvre adding new capabilities to the satellite during its mission. However, for scientific missions such as interplanetary travel to the outer regions of the Solar System, electric propulsion is the only means to carry useful scientific payload quickly across the enormous distances involved. There are three broad types of electric propulsion, depending on the method used to accelerate the fuel. Electrothermal engines use electric power to heat the propellant either by passing a current through a heating element, a configuration known as a resistojets, or by passing a current through the hot ionized gas or plasma itself, an arcjet. Electromagnetic engines ionise the propellant by turning it into an electrically conductive plasma, which is accelerated via the interaction of a high electrical current and a magnetic field. Known as pulsed plasma thrusters, this technique is in fact quite similar to how an electric motor works. Electrostatic engines use an electric field generated by applying a high voltage to two grids perforated with many tiny holes to accelerate the propellant, called a gridded ion engine, which is what powers Dawn. Another electrostatic design is the Hall effect thruster, which operates in a similar fashion but instead of high voltage grids generates an electric field at the thruster’s exit plane by trapping electrons in a magnetic field. The concept of electric propulsion has been around for 50 years or more, but was deemed too experimental to commit to major projects. Only now is it beginning to find real applications. For example, keeping geostationary satellites in their correct orbit, to counteract the aerodynamic drag from the very tenuous atmosphere 200km above the Earth. Or interplanetary missions such as Deep Space 1 – the first experimental mission to use ion engines, it was originally intended as a technology demonstrator but performed a successful fly-past of the asteroid 9969 Braille and the comet Borrelly 15 years ago. Another very successful mission using ion engines was the ESA Gravity field and steady-state Ocean Circulation Explorer (GOCE) satellite which for four years until 2013 was able to map in unprecedented detail the Earth’s gravity field. The Dawn spacecraft, equipped with large solar panels to power its electrical engine. Now that electric spacecraft engines have entered mainstream use, they look set to reduce the cost of deploying satellites. With compact ion engines onboard, satellites can raise themselves from low Earth orbit to their final geostationary orbit under their own power. This will save enormous amounts of fuel required to lift the satellite through conventional chemical rockets, and allow the use of much smaller launch vehicles which will save a lot of money. Boeing was the first off the blocks in 2012 with an all-electric version of their 702 platform satellite fitted with xenon-powered gridded ion engines, and other satellite manufacturers are following suit. Currently all electric power designs use xenon gas as the propellant, but the search is on for alternative propellants since xenon is enormously expensive and in limited supply. But electrical power is here to stay, and over the longer term, space tugs and even manned missions to Mars based on nuclear electric propulsion will be the next on the drawing board.